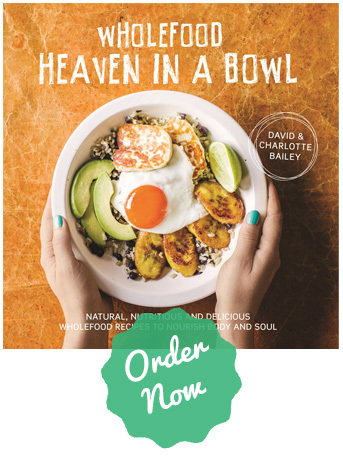 Wholefood Heaven is run by husband and wife David and Charlotte Bailey. David Bailey is a classically trained chef who has worked for over 18 years in a number of leading restaurants including Vong, E&O and Eight over Eight. In 2005, he made the radical decision for a chef to become vegetarian and has never looked back both in terms of health and personal fulfillment. He has since worked as a consultant in nearly all the top vegetarian restaurants in London and was the founding Head Chef of Saf, working alongside Chad Sarno. 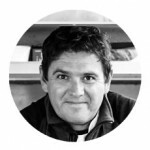 He has also worked as a personal chef for a number of high profile clients and has a great deal of international experience giving vegetarian, vegan and raw food classes, including at Divertimenti and Leith’s School of Food and Wine. 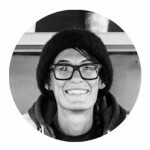 Charlotte Bailey is an Oxford graduate who has spent many years working in the natural health industry. She is a qualified homeopath, having trained at the School of Shamanic Homeopathy and is a soon to be qualified kundalini yoga teacher. Charlotte is a lifetime vegetarian, mostly for compassionate reasons but also as a big believer in it’s many health and environmental benefits. 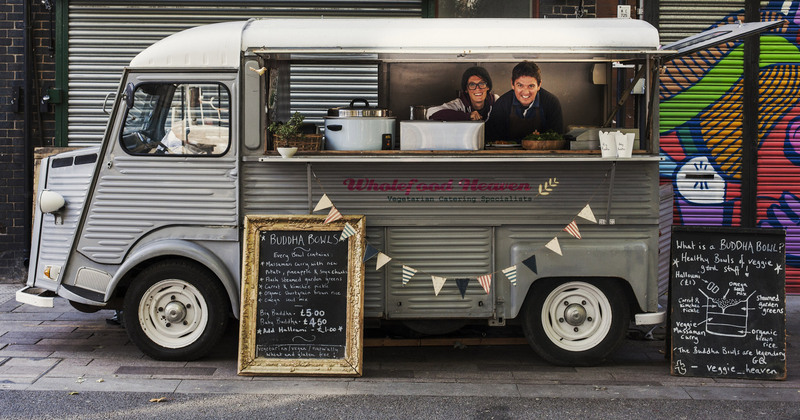 In 2009, we started our own business, Wholefood Heaven and quickly became increasingly involved in the vibrant street food scene, taking our healthy and high quality food to the masses via a beautifully converted Citroen H van. We scooped the award for Best Main Dish at the British Street Food Awards and have also recently featured in River Cottage Veg with Hugh Fearnley-Whittingstall, the Travel Channel’s Street Eats and in the well-received documentary Planeat. 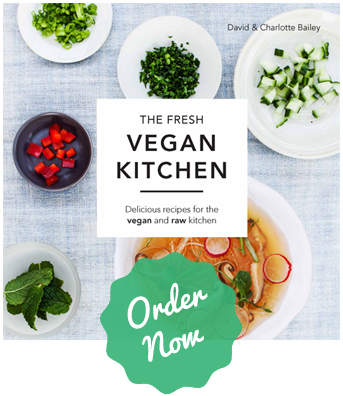 Our debut book ‘The Fresh Vegan Kitchen’ is published by Pavilion and out now!